Picnics, barbecues, ball games, hunting lodge, duck blind, or even a gift for your favorite camo wear'en outdoor love'n buddy! 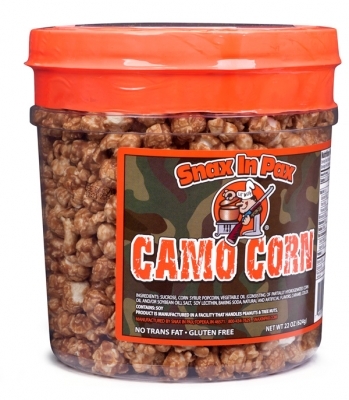 Snax In Pax's "Camo Corn TM" will fit right in! 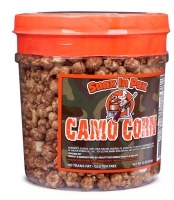 So the next time you need a big snack, grab a big tub and enjoy! You'll be glad you did! Our caramel corn starts with Indiana grown popcorn, then we add our specialty old-fashioned recipes of caramel to produce a true caramel corn treat. Each tub is 22 oz.